It's been quite a while since I posted anything new, I've been busy raising two young children and keeping one step ahead of my wife! Way back in 2009 I bought a R44 and set out, around the country, to capture video and stills of our beautiful nation. Then in 2012, with the help of a very nice fellow bladeslapper, I set up an AOC and started trading as My Heli on the Central Coast of NSW. Fast forward to today and I've taken thousands of people on flights around the area and got endorsed as the chief pilot for the operation. I always meant to spend more time sharing the stunning images I've collected (over 100K) and the hundreds of hours of video footage. So, over the coming weeks, I'll post small (30 - 40 pictures) albums from different areas of the country. I have already put 12 albums on our site and I am starting to work on some more. For those of you who have not yet had the chance to travel long distance by heli, there is some pretty cool stuff coming up. Anyway, to kick off, I thought I'd share the start of the Sydney to Hobart race from 2012. Have a look at how low some of the heli's are getting as they pics of the racers!. Was a fun day. Nice work mate! thanks for sharing it. Im sure you cant read the rego of the machine i'm in.. Excellent. 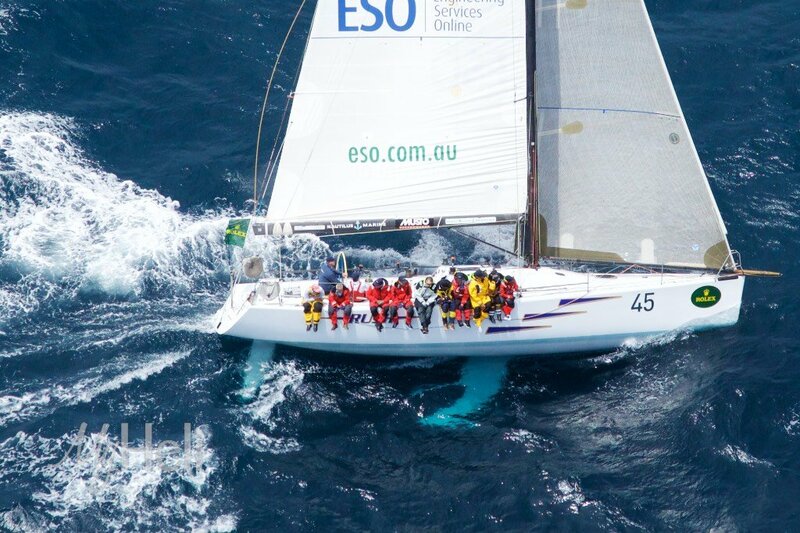 Some of the best days of flying for the Sydney to Hobart races. Great pics mate, particularly for our friends that don't fly around Sydney. Just working on an album from the Yeppon Peninsula, I'll post once it's ready. I have so many more to share, it always comes down to time with 2 & 3.5 year old kids. I took My Heli all over Australia and saw some pretty spectacular stuff. The thrill of being yelled at by John Bananas, the Grand Poo-Bah and Chief Director of All Things Helicopterical. According to him, he OWNED that race, and you'd just better stay out of his way and not get in his shot. Or do like the rest of us did, laugh at him and do what we had to do. Oh yeah, he also owned the Bridge-to-Bridge, and any bushfire in NSW. Yep and he's now buried after flying his perfectly serviceable twin squirrel into the desert floor at night time. Hopefully mitch Vernon posts some pics if he's reading, he's got some great shots throughout his career. Got your wires crossed there. Gary Ticehurst flew the twin Squirel into the desert not John bonao. Both from the same era and both early operators in Sydney from late 70's through 80's,90's etc and both thought they were entitled to the airways lol. John I believe died from cancer.